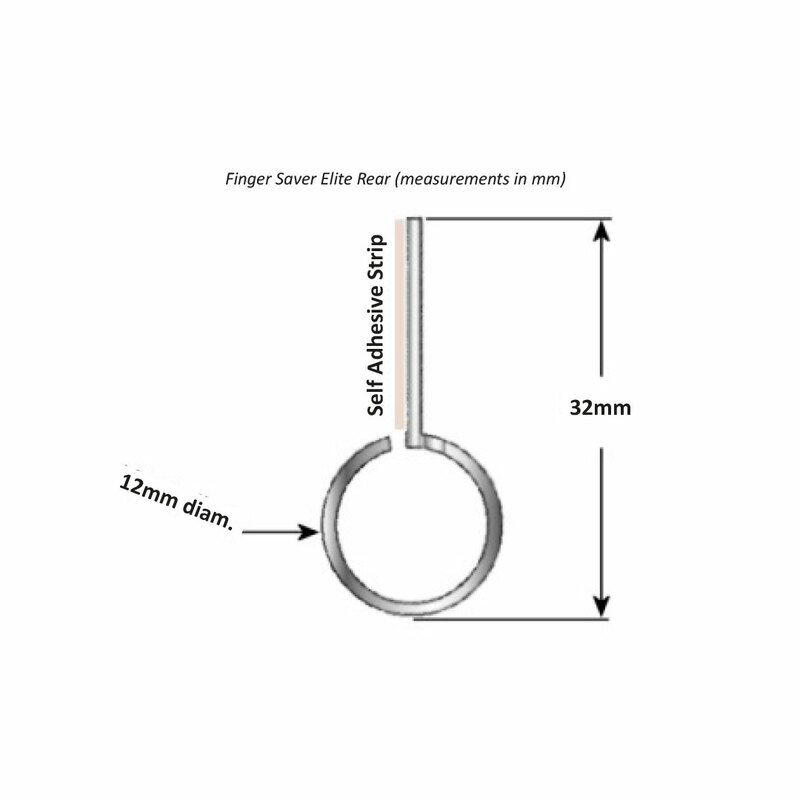 Finger Saver Elite (Rear) - Finger Guard. Finger Saver Elite Rear is a budget priced guard to cover the rear hinge gap for total protection from finger trapping accidents. 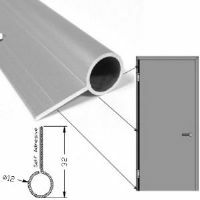 Shaped like a long hinge strip, in an aluminium finish, it is installed using double-sided adhesive tape. For use in conjunction with standard commercial hinge with a barrel diameter between 12-18mm. 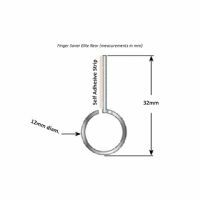 Together with Finger Saver Elite Front it guarantees total safety from the risk of finger pinching while allowing the door to open up to 180° depending on door configuration. 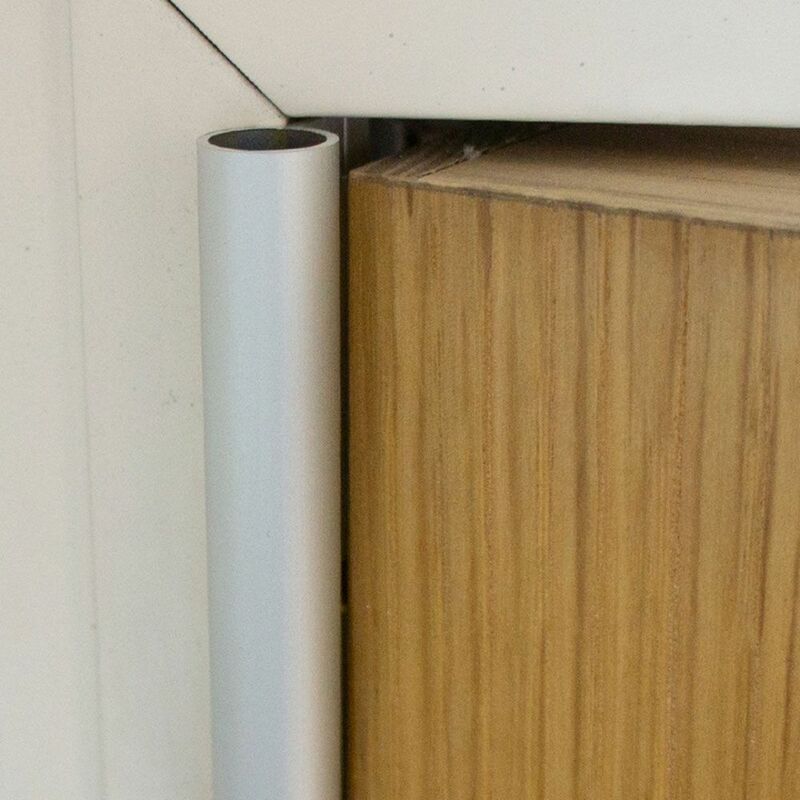 Budget priced door guard to cover the rear hinge gap. 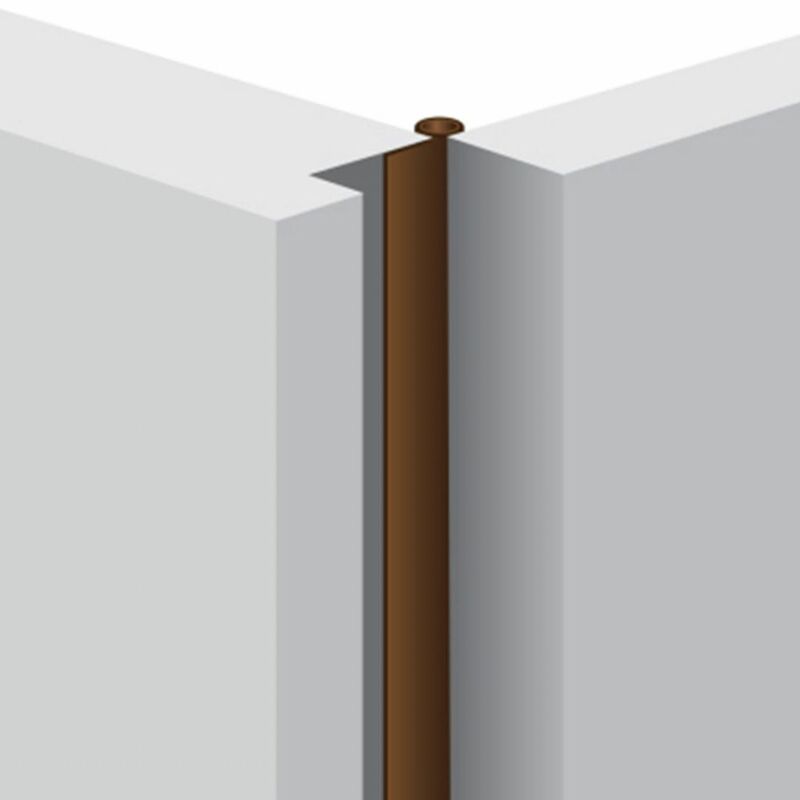 Suitable for fitting alongside standard 12-18mm barrel diameter hinges. PVC material in aluminium finish. Ideal product for fitting when access is restricted. Allows door to open up to 180° angles depending on door configuration. Ideal product for fitting in more confined settings. Manufactured from PVC with an aluminium finish. Easily cut to required size(s).